Ear Piercing Specialist will wear single-use, disposable gloves and clean the ear-piercing instrument before and after each use. 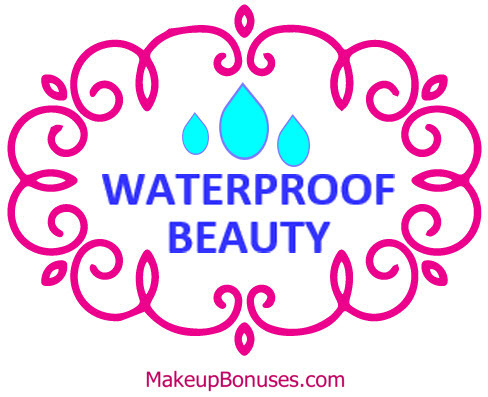 To ensure a safe and hygenic experience ICING only uses pre-sterilized, pre-packaged earrings (they do not use needles). An ICING specialist will first clean the surface of your ears with a disinfectant antiseptic swab. They will then pierce your ear with a Professional Piercing System. NOTE that the above is provided for information purposes only, and does not serve as an endorsement of services. Although these stores have provided millions of ear piercings, all of the providers listed above use a piercing gun (which is not medically sterilized in between uses) instead of a needle. The Association of Professional Piercers (APP) only recommends piercing with sterile equipment or with jewelry that is considered medically safe for long-term internal wear. Learn more about safe piercing practices and how to find an APP-approved piercer at SafePiercing.org. Great site i had no idea macys did ear piercing but thats good to know i had my ears recently done at clairs and they did a great job,really nice people there. 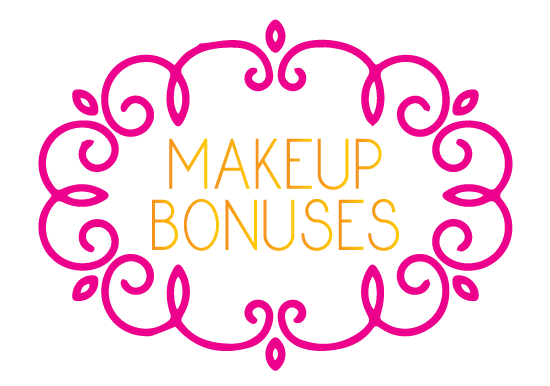 i love the idea of getting bonuses with my purchases and will be checking back with this site to make sure i don’t miss out. Hi Christine, Like you, I also didn’t realize that Macy’s offered this service. I’m happy to hear that your experience at Claire’s went well. Have fun accessorizing with your newly pierced ears! 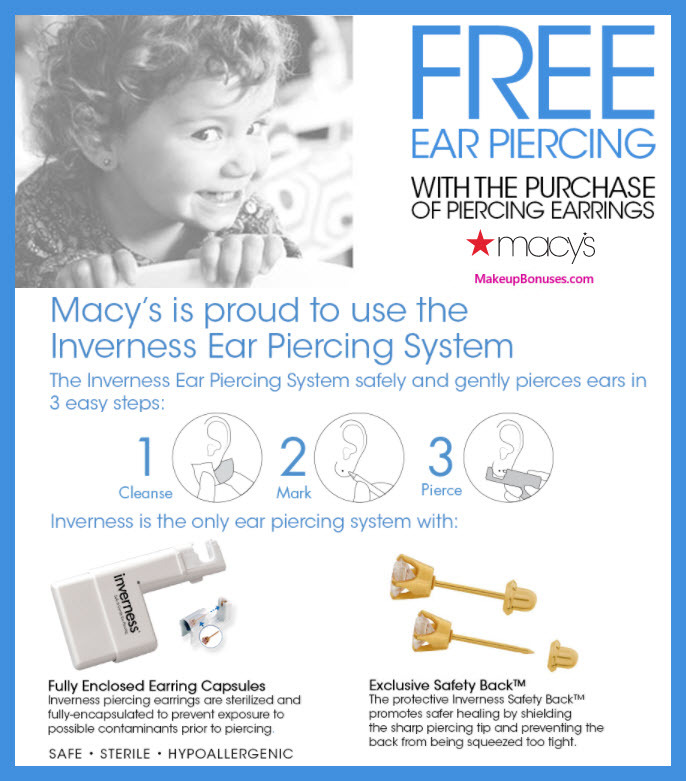 I didn’t know that Macy’s does ear piercing. What is the price range for the piercing earrings at Piercing Pagoda? What about those big tube earrings that look like someone pierce their ears with a pipe section? I would never get this but I’m curious to know where people are getting this done. Hi Shannon, these stores only do standard lobe piercing, with the exception of a couple that can do cartilege piercings. See SafePiercing.org for more information on guage-style piercings. Piercing Pagoda earrings are only available in-store, so the cost will vary depending on the store selection. They should be comparable to the other stores that offer piercing.